Our hearts are heavy with sympathy for the loss of Gregory Enrico Mascari, a certified architect. Gregory “Greg” Enrico Mascari passed away on Friday, September 28, 2018, at the age of 60. 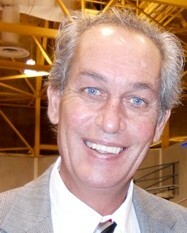 He was born in New Orleans on June 19, 1958, to the late Nicholas Francis and Doris Mascari. Greg attended Kennedy High School and the University of Louisiana at Lafayette where he completed his graduate degree in Architecture. He married Marlene Mascari, and they raised one beautiful daughter. Greg was extremely proud of his daughter, Mia Mascari and often would brag that she was his greatest accomplishment. Later in life, he met and married Donna Mascari, and she has been an invaluable partner in his second phase of life. Family and friends are invited to attend the visitation at Jacob Schoen & Son Funeral Home, 3827 Canal Street in New Orleans, LA on Wednesday, October 3, 2018, from 7:00-9:00 PM. A rosary will start at 8:00 pm. The Funeral Mass will be Thursday, October 4, 2018, at 11:00 AM in the J. Garic Schoen Chapel with burial immediately following at Hope Mausoleum. In lieu of flowers, the family requests contributions to St. Jude Children’s Research Hospital. To learn more about the funeral, please click here.